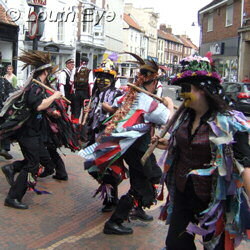 Three groups of Morris dancers came to Louth to promote the Lincolnshire Traditions Weekend at the Lincolnshire Wolds Railway at Ludborough. 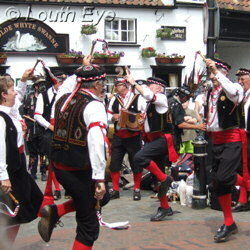 The Mutineers from Leicester, Poacher Morris from Lincoln, and Stockport Morris danced at the Fish Shambles in Eastgate in front of an appreciative crowd of shoppers. 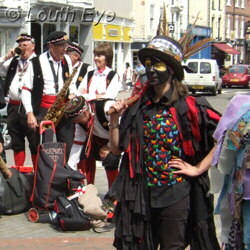 Poacher Morris are the ones with the blacked-up faces and feather headdresses, whilst Stockport Morris wear red hose and ribbons. 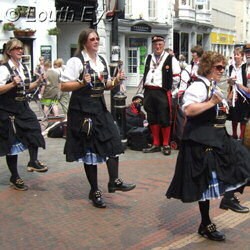 Morris dancing isn't restricted to Morris men either, as these pictures demonstrate. Zumba, Bokwa, you what now? An overview of some of the new Latin Dance classes in this area. 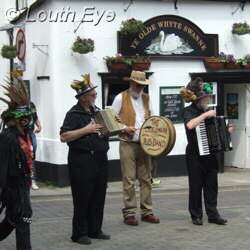 Red Nose Day and Earth Hour events, and a couple of new groups forming. 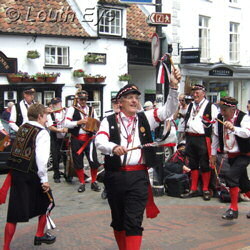 Local councillors show off the new centre as crowds flock to see the royal visitor.